Ok so we both know this isn't actually your bedroom, unless you're the Canadian girl called Kay who the artist based it on, BUT it could just as easily be yours! Liz Sterry, the artist, followed Kay's blog for three months and having never met Kay she was able to recreate an exact copy of her bedroom based on selfie's and all the information she had put up online. Now Kay's bedroom is touring around Britain, and is currently in a shopping centre in Leeds. Creepy! The installation points out just how much information we all happily share with the world online without really thinking about it. Thankfully Liz is an artist, not a crazy stalker. But her work highlights an important issue when it comes to boundaries online, at what point are we over sharing? How much information is too much when it comes to sharing your thoughts and experiences with strangers? Sterry isn't the only person experimenting with social media boundaries, take a look at this video by Jack Vale creeping people out using information from their twitter accounts..
All pretty freaky stuff, especially because we're probably all guilty of having this sort of information freely available online for people to use in video's like this, but hey a lot of it's harmless! Does it really matter if someone knows your birthday, or what kind of dog you have? Maybe just avoid posting the things you really wouldn't want strangers to know, like where you live. And hey if you don't fancy your room turning up in a shopping centre, next time you take a selfie just do it in someone else's instead! 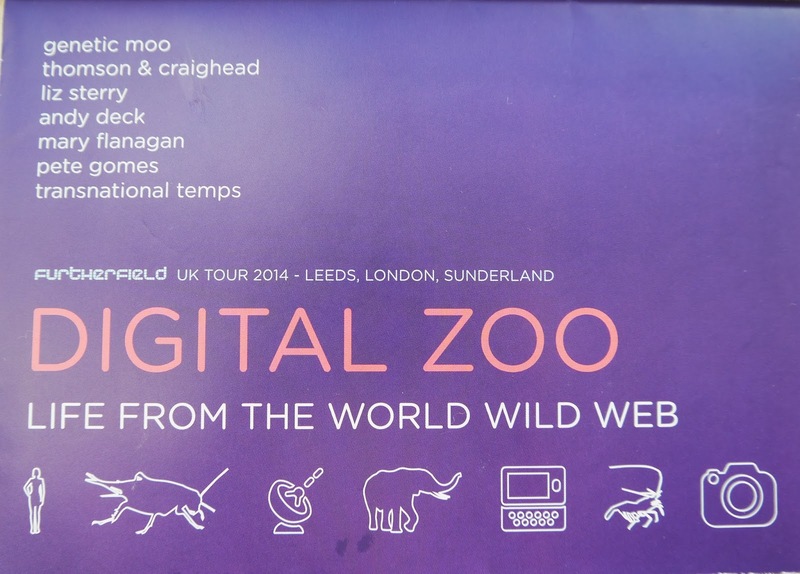 The rest of the Digital Zoo exhibit is equally as interesting, below are a couple of examples of what else there is to see. Animacules by Genetic Moo shows creatures responding to torch light and there's a piece by Andy Deck experimenting with the influence creatures have on language. All in all, this is a very relevant exhibition engaging with technology and the digital world so it's definitely worth a visit! For more information you can check out the website here. The Ice Cube Leeds: Get Your Skates On! Workout Wednesdays: Let The Games Begin!